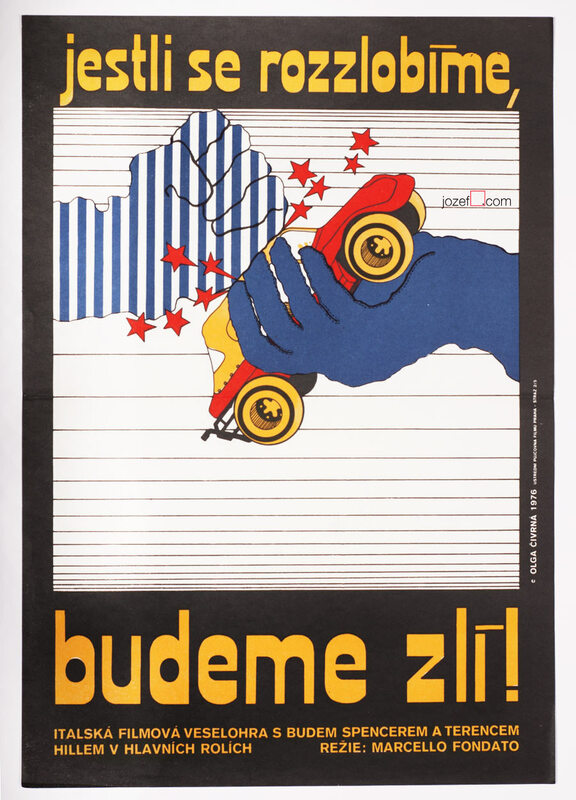 Vintage movie poster designed for Russian racing film by Josef Duchoň. 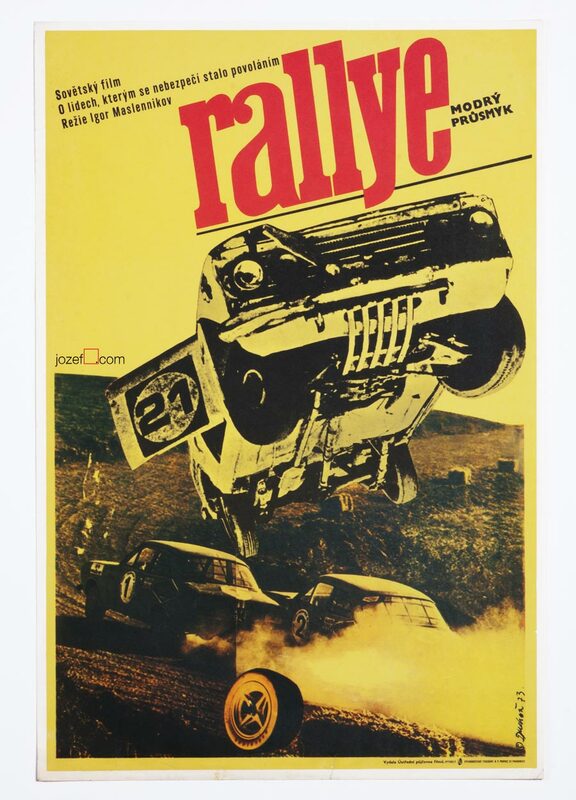 Vintage racing poster for Russian movie about a strong friendship and rally racing. 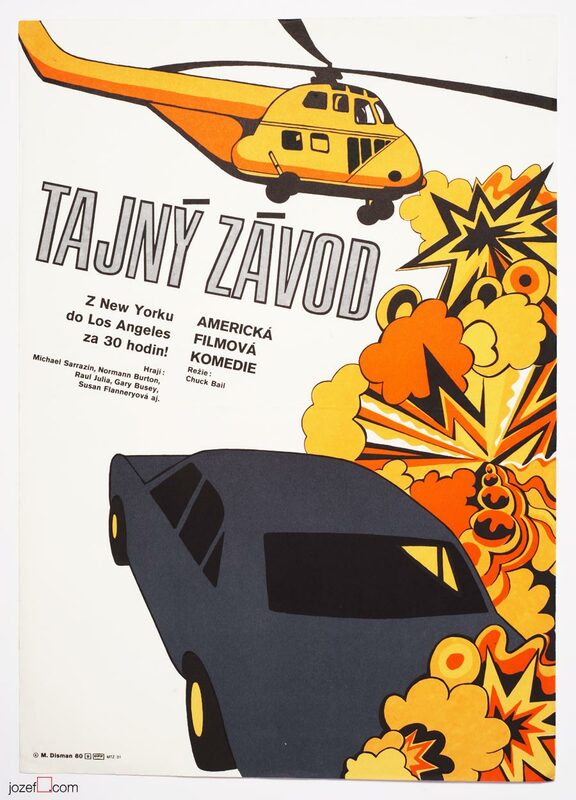 Superb dynamic collage poster with two racing cars at the moment of the crash was created by phenomenal graphic designer and artist Josef Duchoň, 1972. Poster has never been folded and is printed on nice thick paper. Gentle age wear around the edges with 1.5 cm tear on bottom edge. Slight staining on the left and bottom parts. Poster is in A3 format. Nice condition. 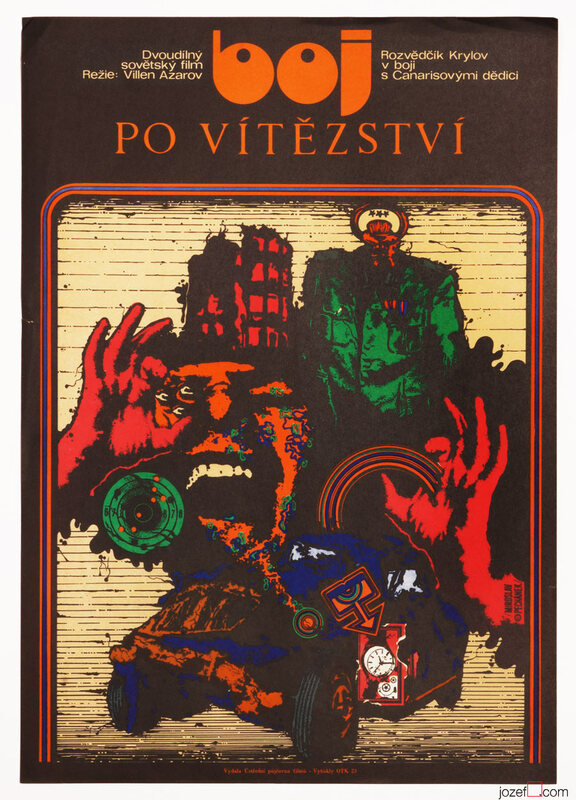 posters designed for Russian movies in Czechoslovakia. 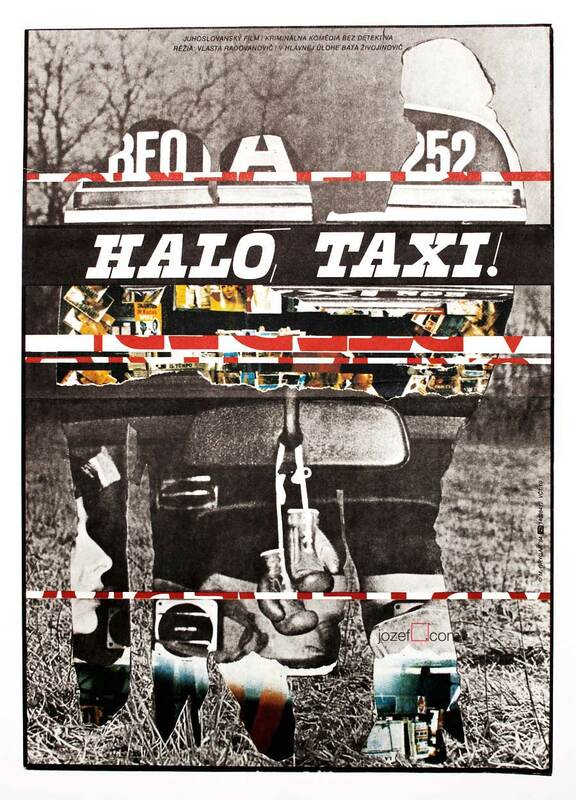 1970’s posters available in our movie poster shop. Delivered fast, professionally packed, and much more….